YOUR FRONT DIFF ISSUES SOLVED! 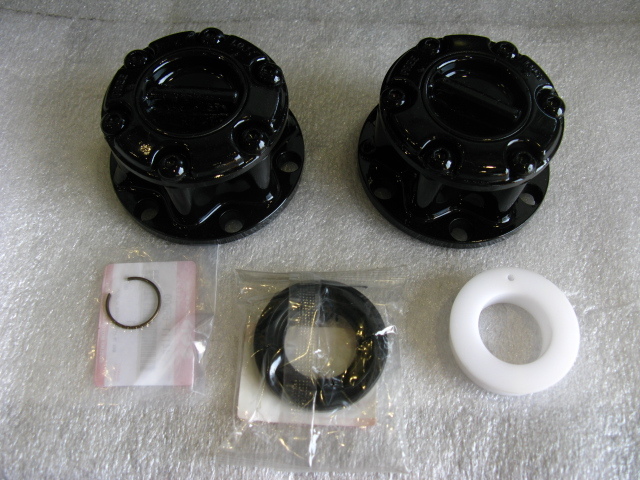 If you own a 1999-05 Tracker/Vitara, Grand Vitara, XL 7... You need these parts!!!! Your front diff woes are now over! We have designed a way to fix the fatal flaw in the Vitara/Tracker front diff. If your front diff has not suffered catastrophic failure it IS just a matter of time before it occurs...even if you have fixed it with replacement parts. Replacement parts alone will not fix this design flaw. Average repair costs once failure occurs ranges from $2500-$4000 depending on the facility and parts used! The problem starts with the front drive flanges being full time, which means the front axles spin constantly. Not only does this cause premature wear, but also higher fuel costs due to parasitic loss. Now add to the equation a poor design which leaves the cv shaft unsupported. While this unsupported cv shaft is spinning constantly, due to the full time flanges, it starts to wallow out the differential side gear causing excessive clearances. The more it spins the worse it gets...eventually causing the axle seals to leak and the internal snap ring to fail. Shortly after this you have catastrophic failure, usually involving more than just the center section, but the entire housing. Just replacing it does not fix the problem as it just bides you more time....as it will happen over and over until the problem is fixed. First we solved the design issue by creating an internal support bushing that supports the weak side cv from the outside of the carrier right through to the side gear. No more support issues. No more wallowing out of seals. No more fluid leaks. No more dried differentials and bearings. No more snap ring failure to run through the gears and bearings to destroy them. Second, we add a set of selectable front hubs so the cv shafts no longer spin all the time. No more premature wear. No more parasitic loss. Much better fuel mileage, and an average gain of 2-4 mpg has been observed. We have used these parts to successfully repair even heavily wallowed differentials, as long as the ring & pinion and bearings are serviceable, this kit has repaired even damaged differentials. We cannot guarantee these parts will fix all damaged differentials as the state of disrepair is different on each. This kit comes complete with everything you need to fix your front diff for good. For your 1999-05 Vitara/Tracker, Grand Vitara & XL7 models. Fits VITARA AND GRAND VITARA 1999-01. These gears provide 134% low range reduction from stock. Boost your engine performance by adding a 2" free flowing exhaust. Bolt or weld in design, 100% aluminized tubing with a high performance muffler.